All Spring Field Days attendees get a free bag of Trophy Rock Four65. Plus, attendees will receive discounted pricing on the Genesis no-till drill. Register now! When do bucks shed? 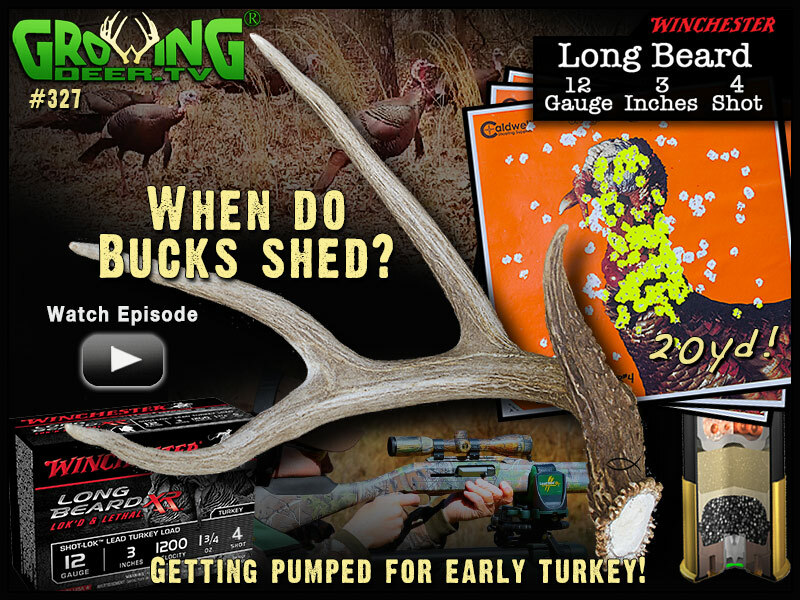 Ever wonder why bucks shed at different times? Watch to learn how sunlight and stress influence when bucks will lose their antlers. Turkey season opens next week in South Florida! We just prepared the Winchester for some serious turkey action this spring. The Long Beard XR’s performance is clearly a winner! What’s for breakfast after your mornings spent in the turkey woods? For us, the hogs we recently killed in Oklahoma will satisfy our hunger! Watch as we walk you through the process of making delicious homemade breakfast sausage! 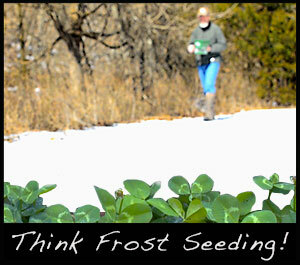 Late winter is a great time to frost seed clover. The freezing and thawing of the soil will bury small seed about an 1/8th of an inch which is perfect for clover!